Events are listed solely as a service to members, not as an endorsement by Alcoholics Anonymous or Mid-Island Intergroup Society. For more information on an event, please use the contact information, if provided, or contact Intergroup central office. 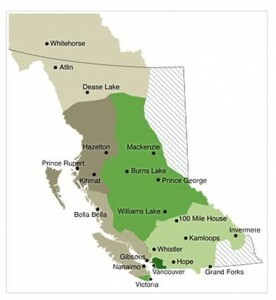 The BC/Yukon Area Committee meets four times annually. Locations for these meetings are chosen, for the following year, at an April Pre-Conference Assembly and upcoming meetings are listed at the Area 79 website. As the date of a quarterly or assembly approaches, detailed meeting information and the agenda are posted online, in the listing for the event. The BC/Yukon Delegate Area 79 includes the Yukon Territory, most of British Columbia and one small section of Washington. The members of Alcoholics Anonymous are represented in this Area by over 700 groups in 47 Districts. The Area 79 website maintains a current, updated list of events such as rallies, roundups, and gratitude days, that are planned in British Columbia and Yukon. Events are listed solely as a service to members, not as an endorsement by Alcoholics Anonymous or BC/Yukon Area 79. For more information on an event, please use the contact information provided. Events from neighbouring areas are occasionally listed at the Area 79 website. Events are listed solely as a service to members, not as an endorsement by Alcoholics Anonymous or BC/Yukon Area 79. For more information on an event, please use the contact information provided. The A.A. Grapevine maintains an online listing of international events at its website. Go directly to the listings (note: this is a “calendar” view, providing minimal information). Please contact our Mid-Island Intergroup Society Website Chair HERE to request an online event posting.